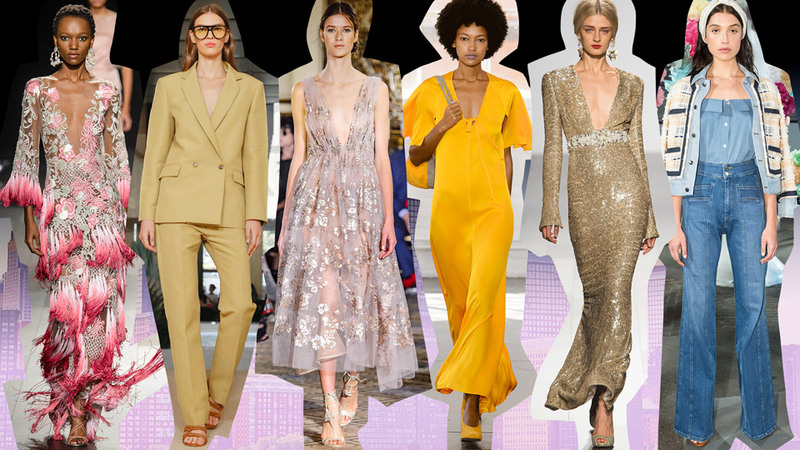 The spring/summer 2018 fashion trends are nothing if not bright, bold and really quite beautiful. Shifting gears from the street’s athleisure boom, there’s a prettier, softer mood in the air, and girls who like to dress up will be thrilled. Keep reading to discover 5 S/S 18’s fashion trends, from colors to prints and key pieces to new details. To say sequins and sparkles will be a big deal next summer is an understatement. In every fashion capital, glitter prevailed, starting with Tom Ford and Marc Jacobs right through to Gucci, Dior and Chanel. Style yours with a sweatshirt to give them daytime longevity. Whether lilac, pink, lemon or duck egg blue, expect to see an array of fashion’s prettiest shades next season. But as Victoria Beckham said “delicacy can be strong”; saccharine these colors are not – consider tailoring in ice cream hues or wearing them in unexpected ways like at Celine. It looks as if heritage checks are going nowhere for the season ahead. Balenciaga’s came via voluminous coats as seen here, while Victoria Beckham’s had a more traditional appeal. Anyone looking for floaty feminine styles should turn to Sonia Rykiel where they were bright and summer-ready. Burberry’s homage was perhaps the most overt—expect to see its check caps everywhere next season. Next summer will be very bright indeed if the catwalks are anything to go by – least of all at Christopher Kane (pictured) and Roksanda Ilincic. From New York to Paris, the shows were awash with vibrant, bold shades to suit every coloring. Ruffles added a feminine air yet again this season, with Erdem, Alexander McQueen, Givenchy and Valentino all incorporating them in their respective shows.